After spending five days exploring the Mighty 5 National Parks in Utah, it was time to head on to our next destination. I was extremely excited to visit the Grand Tetons as this had been a long time bucket list destination. We considered Day 6 to be a driving only day as we made our way out of Utah and closer to Wyoming. We knew that we would not reach the Grand Tetons that day since we got a late start, so we planned to stay somewhere in between. Brandon remembered researching a skate park in Idaho Falls that he wanted to check out, so we planned to stay the night somewhere in Idaho. The drive from Moab to Idaho Falls was long, uneventful and took us nearly 8 hours. Luckily, we arrived at the skate park with an hour left of sunlight and Brandon enjoyed checking out a new park, while I searched for our next campsite. 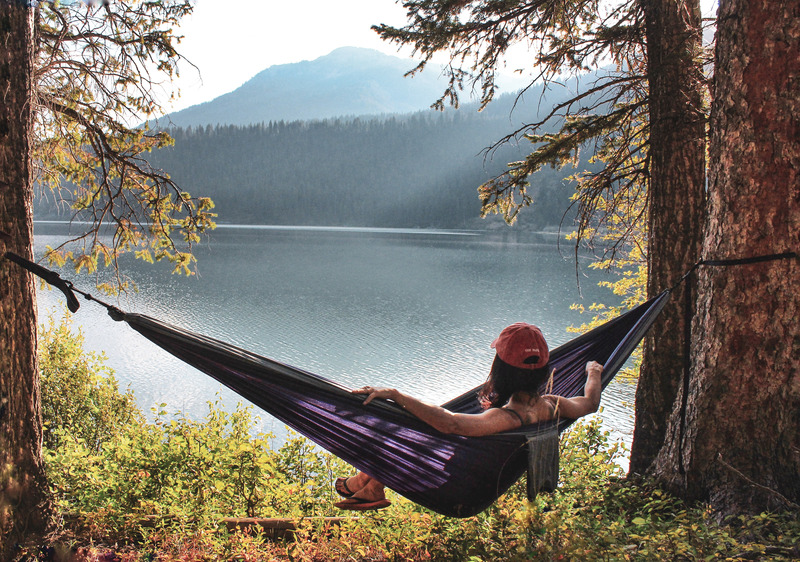 We found last minute availability at a campground in Ririe, Idaho. We arrived at Juniper Campground with a few minutes of sunlight to set up camp and get a fire started. We never imagined Idaho to be as beautiful as it was. 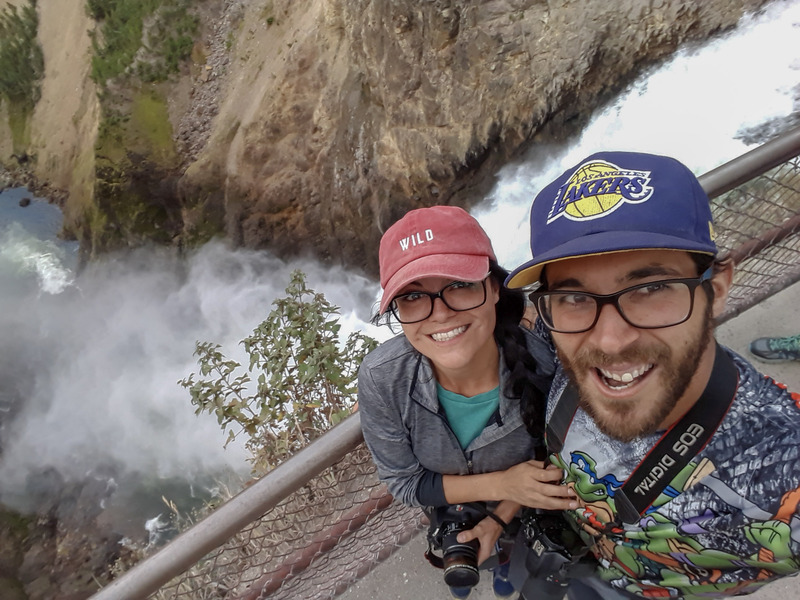 Since it was a state we were just passing thru, we didn’t even think to check out other parts or hikes within the area; so we will definitely be adding Idaho to our bucket book. The next morning was cloudy and quite chilly, nothing like the weather we had experienced in Utah. 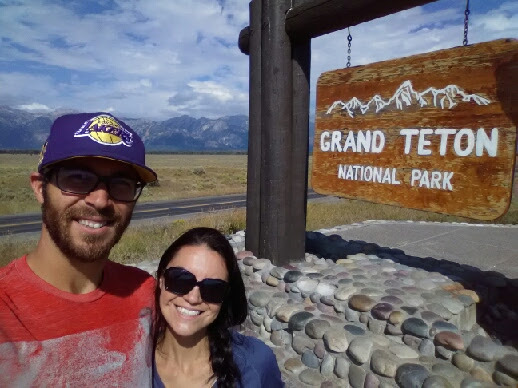 We pulled out our sweaters, beanies and long sleeve shirts and finally set off to the Grand Tetons! We were still a couple of hours away from the national park but the drive from Idaho to Wyoming was amazing. Original plans were to backpack in the Grand Tetons upon arrival. Unfortunately, since we arrived late that afternoon there were no permits available for the hike we wanted to do. 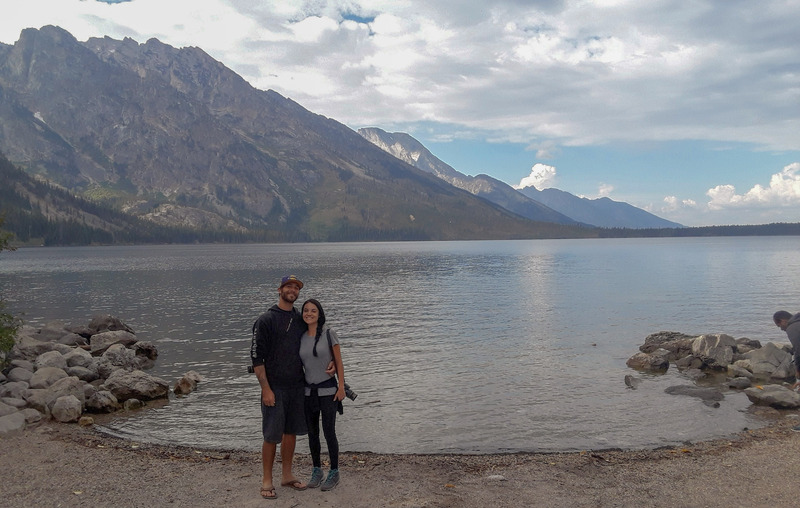 We camped at Coulter Bay campground and was able to explore a little more of the park that we wouldn’t see during our time in the Grand Tetons. From Jenny Lake to Coulter Bay, I felt blessed to finally be amongst the Grand Tetons and boy weren’t they grand! We enjoyed a peaceful night at Coulter Bay campground and got all set up for our backpacking trip to Phelps Lake in the morning. It wasn’t until we rearranged our car did I realize that I totally forgot to pack my sleeping bag. BIG FAIL! There was no running to REI, Wal-Mart or Big 5, we were in the middle of the Grand Tetons and I was forced to backpack without it. I dreaded the thought of not being able to cuddle up in my new sleeping bag but it actually wasn’t that bad. The hike to Phelps Lake was awesome. Thank you, @racheltaylorjones for the recommendation. 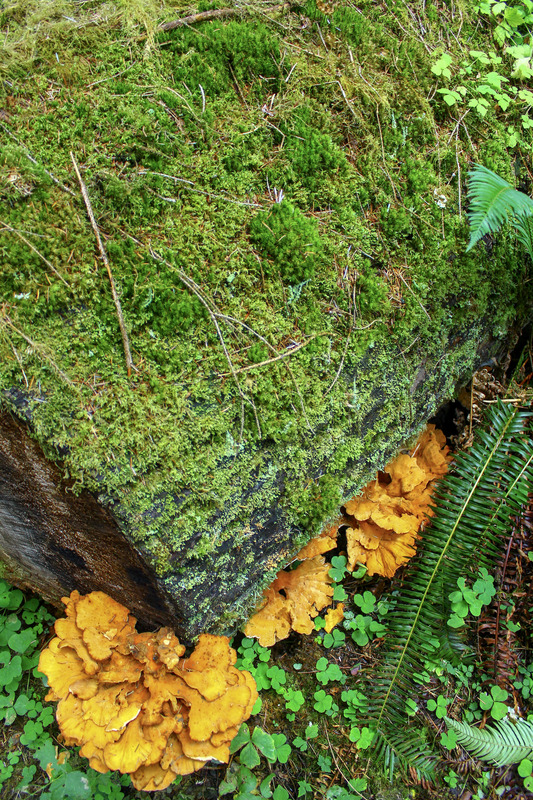 Beginning at Death Canyon Trailhead, the hike to Phelps Lake is 4.7 miles round-trip with an elevation gain of ~ 965 ft. 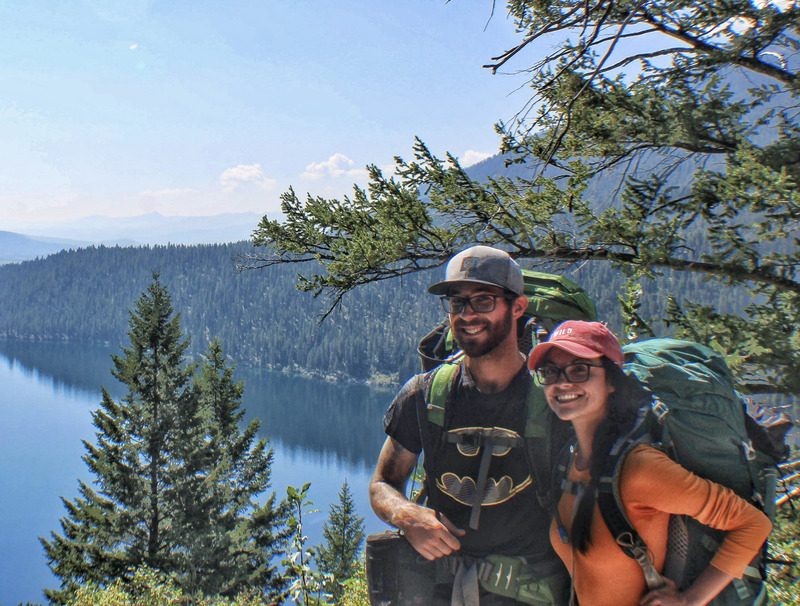 The weather was just perfect for backpacking and maybe even a little swim in the lake. We got an early start as we wanted to score an awesome site and did just that. 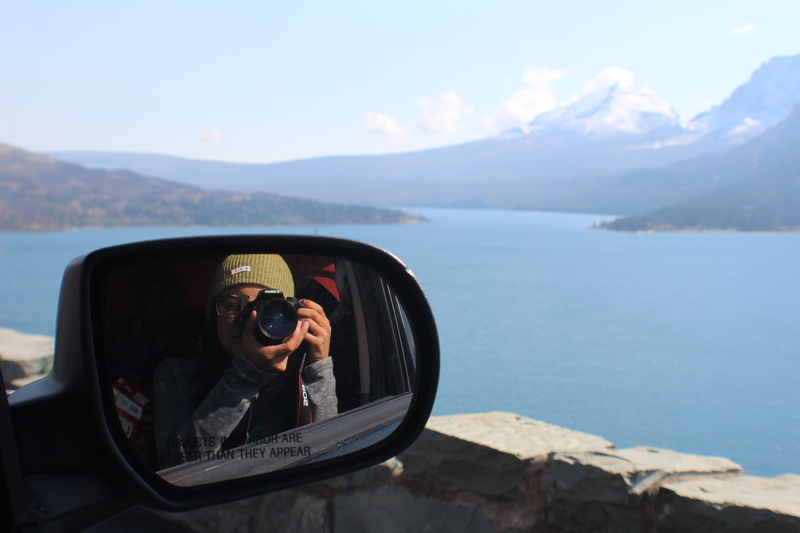 It took us a little over an hour in a half to reach the campground due to stopping multiple times and taking pictures. 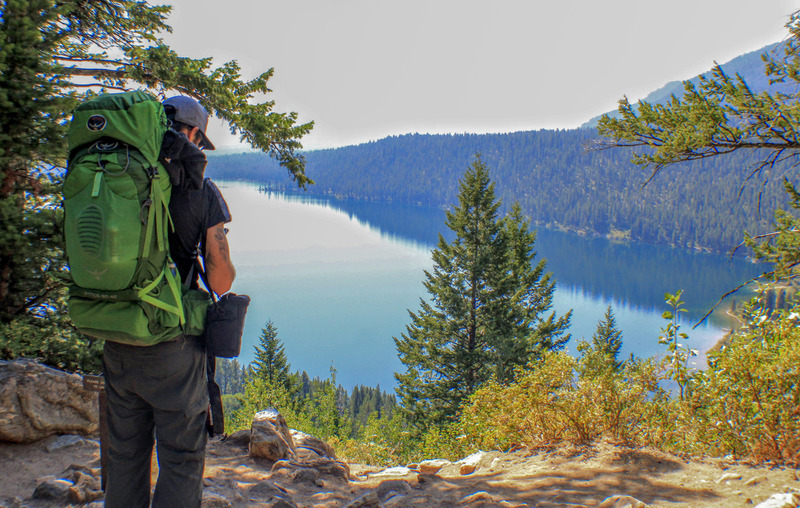 After we set up camp and packed our bags in the bear box, we took a little hike to check out more of the lake. Not knowing that you can actually complete a loop around the lake, we found a nice spot to hang out and went for a swim. Campfires are not allowed in the campground, nor did I have my sleeping bag, so it was a good idea to dry off before the sunset. When we got back to camp we hung up our hammock next to the lake and watched the sunset. 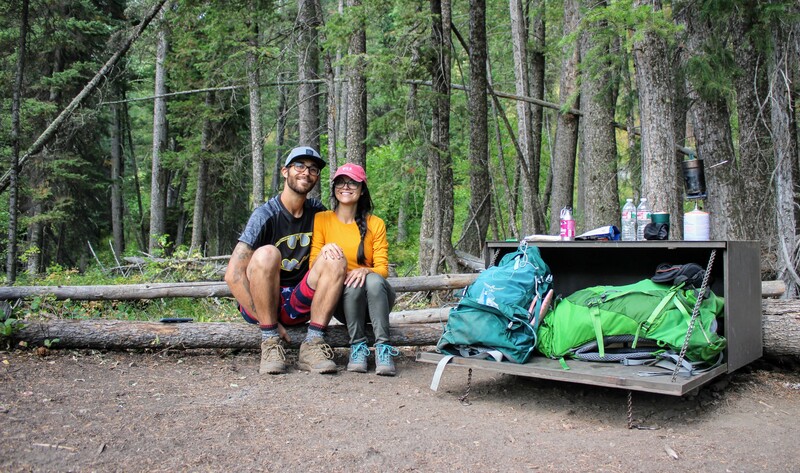 Our first backpacking trip during our road trip was coming to an end. The hike back took a little longer, neither of us wanted to leave but, Brandon was stoked on our next destination, Yellowstone National Park. This would be our 7th national park in 8 days! We had reservations for our campsite in Yellowstone so we did not have to worry about where we would be sleeping that night. 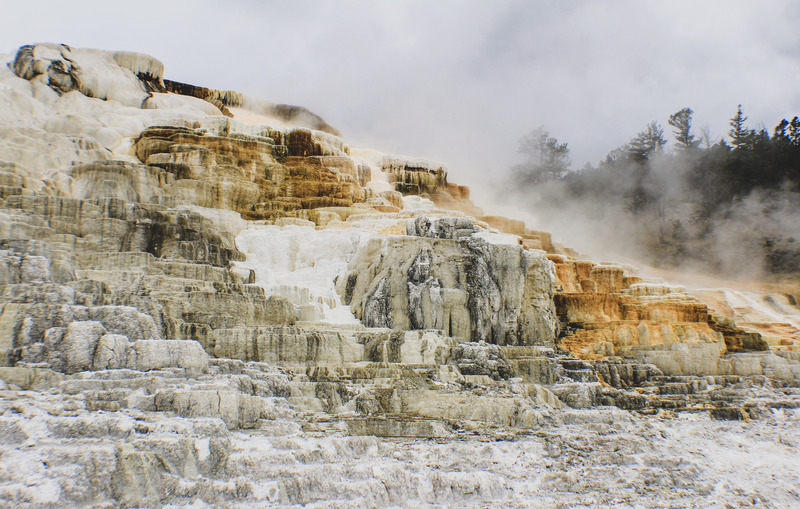 With just a short drive from the Grand Tetons, we arrived in Yellowstone National Park. Now it was time to witness Old Faithful. Apparently, it had just erupted when we arrived but not to worry; Old Faithful erupts every day at intervals of ~ 60-110 mins. We decided to grab a front row seat and wait. And we waited. And we patiently waited. And as the audience grew, our patience started to thin. Then boom, it happened and it was over within 2 minutes. Sure, it was great to witness in person, but after the show, we decided that waiting probably wasn’t the best idea since we had limited time and can actually witness Old Faithful in other parts of the park as well. Luckily we still had some daylight to explore other geysers but did not have a master plan. As the day ended, we checked into our campsite and set up. It was a chilly but clear night and the only night that we did a little star gazing. We were not expecting any rain, but it ended up raining all night and all morning. Our second day in Yellowstone we planned to check out the Grand Canyon (of Yellowstone). But first, we shower! Luckily our campground reservations came with 2 free showers. We had officially gone 7 days without a shower and I couldn’t have been more excited to do so. 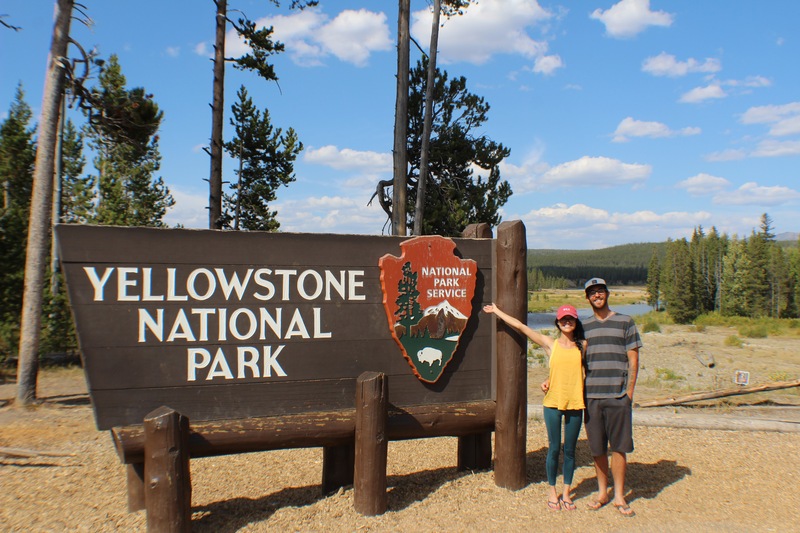 We continued our day in Yellowstone and ended up finding a campsite that afternoon right outside the park, near the Yellowstone River. 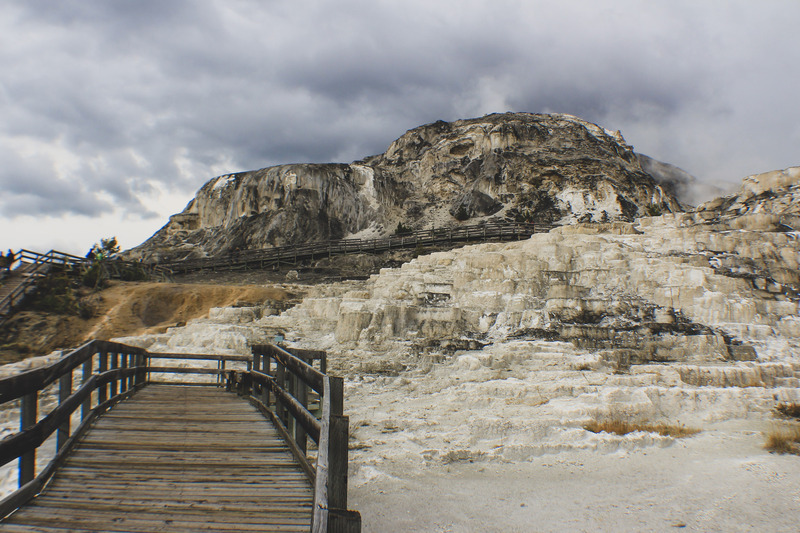 We would camp that night and head back to Yellowstone to check out Mammoth Hot Springs before heading to our next destination, Montana. The next day we got an early start due to the 3-hour drive to our next destination. It was a cold and rainy morning and we ran into quite a lot of snow on our way to Glacier National Park. When we arrived, the rain had just cleared up but oh my, was it cold! We set up camp and made lunch and nothing sounded better than a nice hot cup of noodles. The day ended quickly. We had plans to day hike the next day but it rained nonstop the entire time and we were not prepared for such conditions. The rain sucked but was much needed. At the time, the Sprague fire was just contained so many parts of the park were closed. 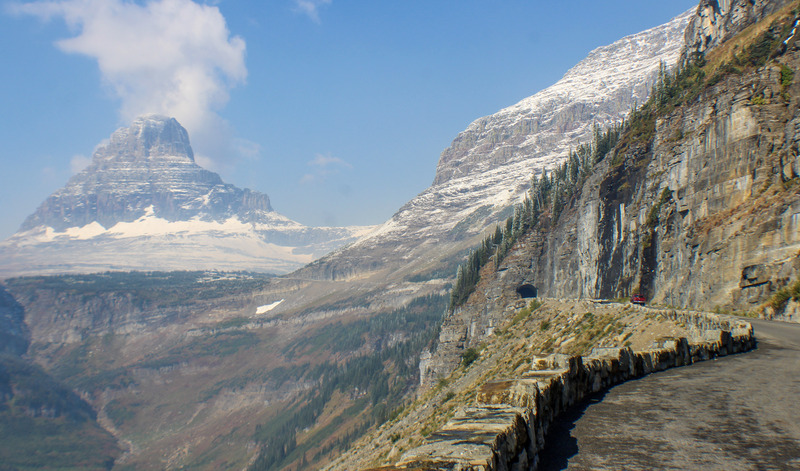 We were able to drive and explore parts of Going to the Sun Road up to a certain point before having to turn around. 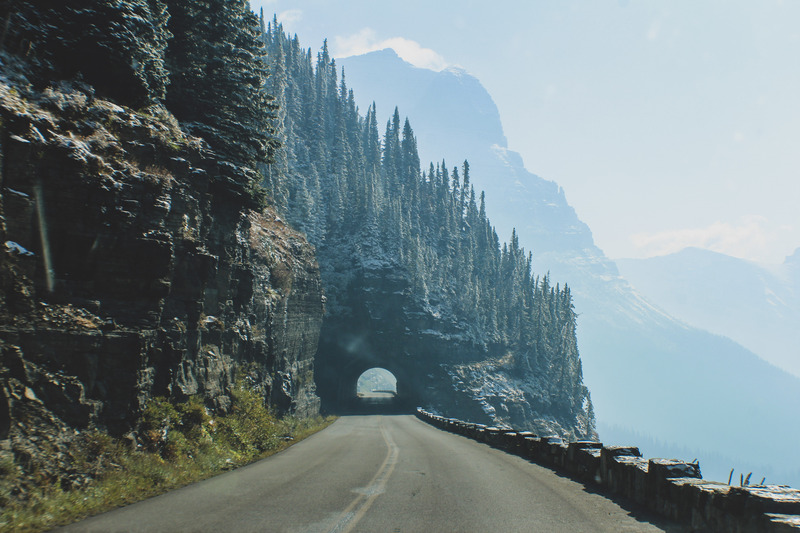 But a beautiful drive, nonetheless. 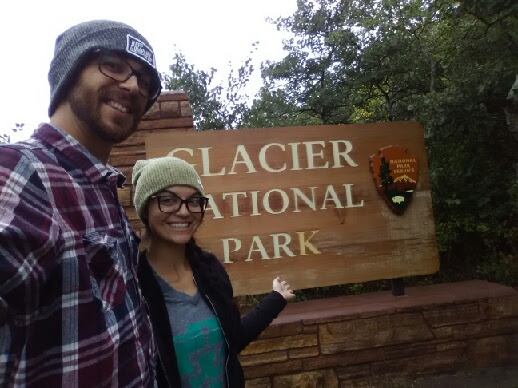 Our time in Glacier National Park sadly came to an end. We had one more night in Montana before heading to Washington and we were not leaving without first trying some huckleberry pie! With no specific plans that night, we found a campsite and set up at Sloway Campground. Due to the fire in Glacier National Park, we were not allowed to have a campfire until we arrived at Sloway Campground. We were excited to finally sit and warm up next to the campfire. We played dominoes, sipped on Fireball, hung out in the hammock and discussed plans for the remainder of our trip, which consisted of 5 more national parks and 2 other states.